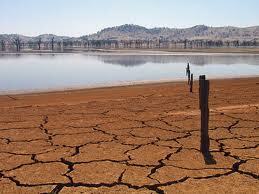 Denver water just issued a stage 2 drought for the spring/summer of 2013 starting April 1st. With a dry spring and summer in 2012 and a below average snow pack in 2013 mandatory restrictions for watering have to be practiced! We need to protect our quality water for our health and safety. Everyone should practice water conservation even if we are in not in a drought. Below are some tips to help conserve our most valuable resource. FYI we only water the golf course two times a week in the heat of the summer. If we can do that on the course homeowners and easily do that on their home lawns. - Only water in the early morning or late evening. - Install rain sensors so your irrigation system turns off when raining. - Hand water dry spots of turf instead of irrigating the entire lawn. - Always use a spray nozzle on the end of your garden hose. - Drip irrigation to landscape plants. - Keep your lawn at a higher height of cut 3 inches. - Check to see if your irrigation system is working properly. ie leaks, sprinkler adjustment. - Use low flow shower heads, toilets and faucets. - Install low water energy efficient appliances. - Turn off water when shaving, brushing teeth, washing hands. All these little tips will help us conserve our water!